Home Prices Haven't 'Turned,' But Some Edged Up As Quarter Ended : The Two-Way The first quarter was another down one. But as it ended — in March — there were slight to modest gains in 12 cities. 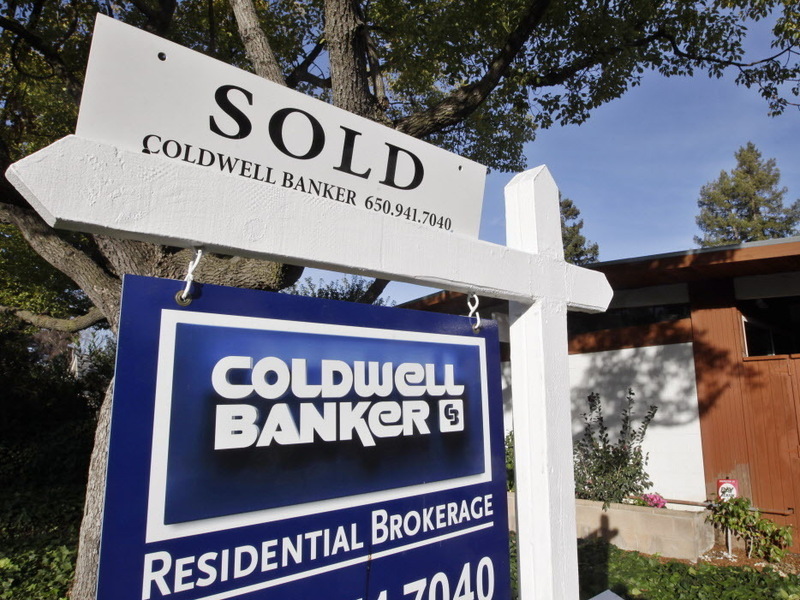 A "sold" sign earlier this year in Palo Alto, Calif.
"The national composite fell by 2.0% in the first quarter of 2012 and was down 1.9% versus the first quarter of 2011. The 10- and 20-City Composites posted respective annual returns of -2.8% and -2.6% in March 2012. Month-over-month, their changes were minimal; average home prices in the 10-City Composite fell by 0.1% compared to February and the 20-City remained basically unchanged in March over February. However, with these latest data, all three composites still posted their lowest levels since the housing crisis began in mid-2006." "Housing prices have not turned," David Blitzer, chairman of the index committee at S&P Indices, says in the report. -- Charlotte, up 1.2 percent from February. -- Dallas, up 1.6 percent. -- Denver, up 1.5 percent. -- Los Angeles, up 0.1 percent. -- Miami, up 0.9 percent. -- Phoenix, up 2.2 percent. -- San Diego, up 0.4 percent. -- San Francisco, up 1 percent. -- Seattle, up 1.7 percent. -- Tampa, up 1.3 percent. -- Washington, D.C., up 1 percent.